Delight your loved ones with the unsurpassed taste of our selected fruits. Make them enjoy the best of nature in the form of a delicious and healthy gift. 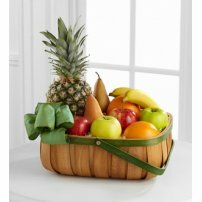 Send fruits to their home now! Mom deserves the best... Send her flowers! Celebrate Mother’s Day with 10% OFF! Coupon MA19US at the checkout. We delivery flowers and plants. We send arrangements and boquets of all kinds of flowers such as Roses and Tulips to the whole USA .